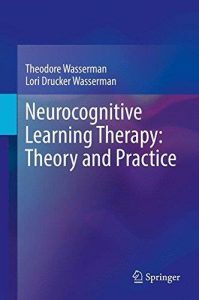 This groundbreaking volume introduces the theoretical base and clinical methods of Neurocognitive Learning Therapy, an integrative framework for client-centered intervention. The model unifies psychology and neuroscience in revisiting the connections between brain and behavior, replacing the cognitive-versus-affective binary traditional to clinical thinking with a scenario of the cognitive and emotional learning processes that work together to shape adaptive and pathological behavior. This foundation in learning theory illuminates the therapeutic relationship, synching how therapists teach with how clients learn, with guidelines for educating to encourage change. The unique flexibility of the NCLT model allows practitioners across clinical orientations the freedom to apply eclectic intervention strategies that fit clients’ learning styles and therapeutic needs. Included in the coverage: Neurocognitive Learning Therapy and Life Course Theory. Reward recognition in Neurocognitive Learning Therapy. Memory reconsolidation and Neurocognitive Learning Therapy. How to be an NCLT therapist. Neurocognitive Learning Therapy clinical procedures. Treating children with Neurocognitive Learning Therapy. Plus practice handouts and forms for therapists and patients.Neuropsychologists, child and school psychologists, and social workers will welcome Neurocognitive Learning Therapy not only as a source of theoretical insight into the brain and behavior, but also as an innovative system for enhancing their capacity for therapeutic teaching and their clients’ capacity for learning. Download: Cuevas Medek Exercise 2012 Gray.